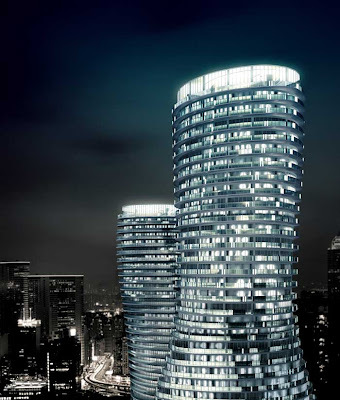 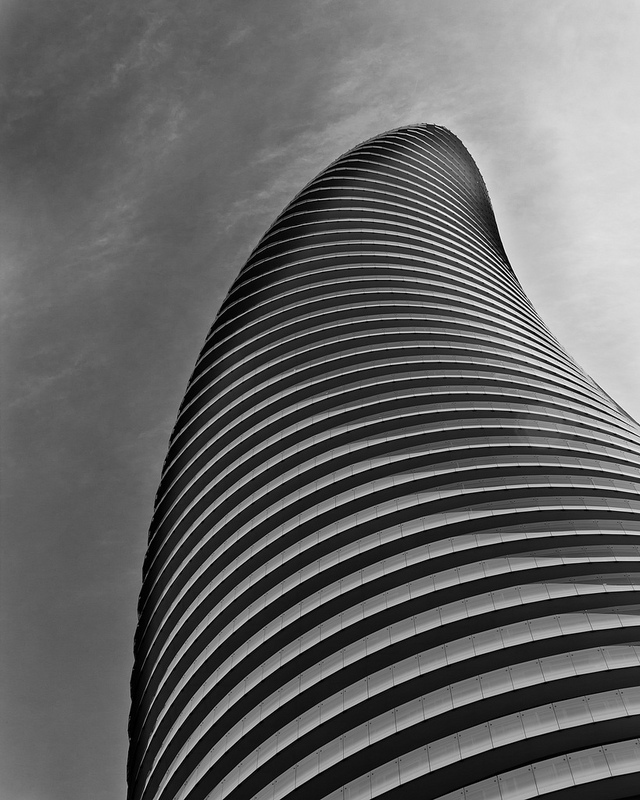 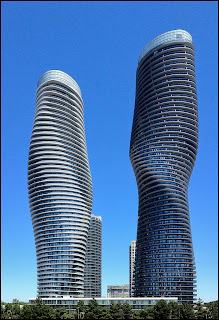 Yansong Ma of the Beijing-based architecture firm MAD created this stunningly curvaceous building for the a new 50-storey condo in Mississauga, Ontario, Canada. 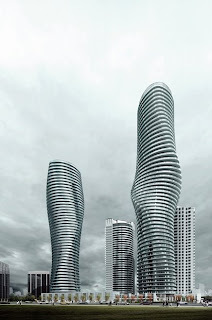 Absolute World, final towers in the world class Absolute City Centre community. 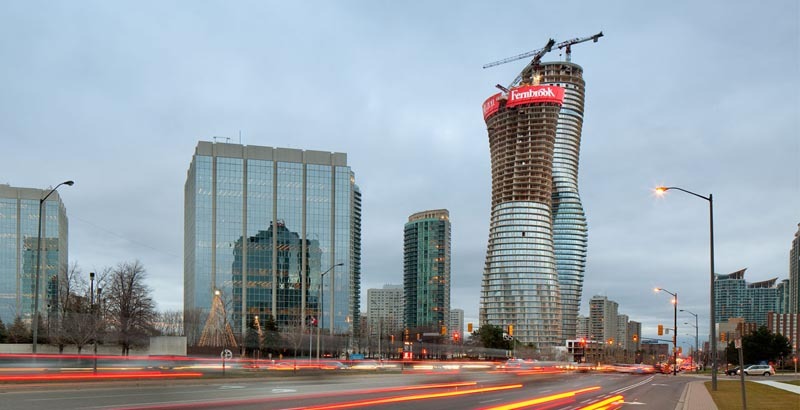 Standing at 50 and 56 storeys, these two skyscrapers will be the tallest of any built in a Canadian suburban city. 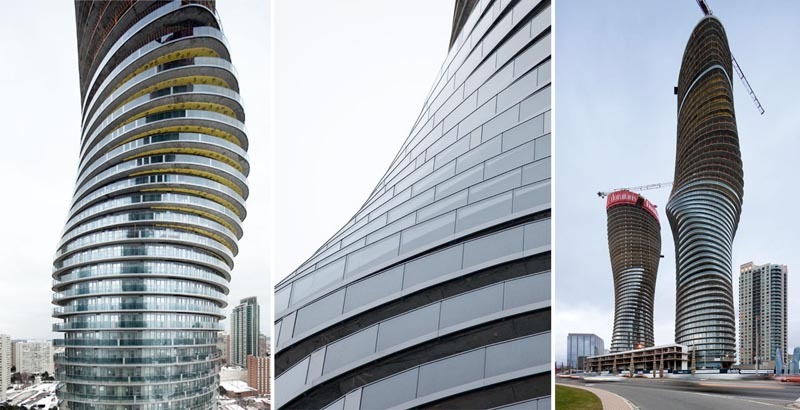 The towers feature a curvaceous design winner in a worldwide design competition, elliptical glass exterior with expansive wrap around balconies and 360 degrees vistas. 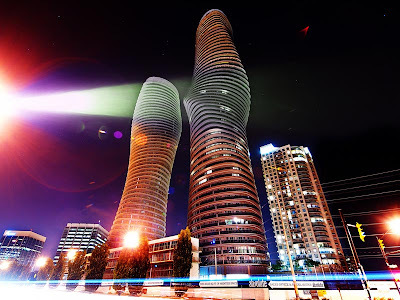 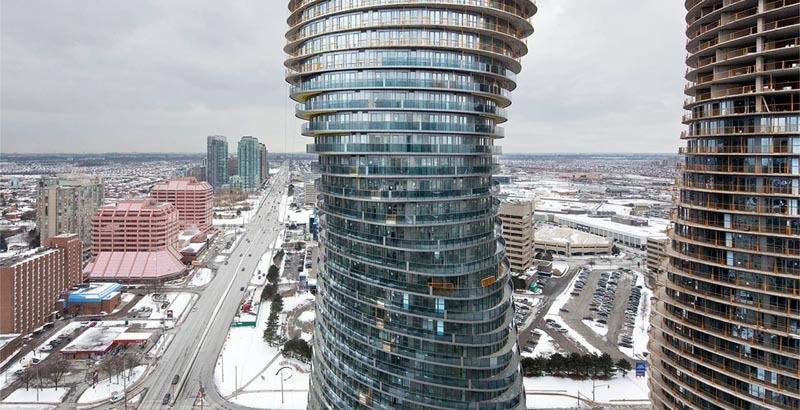 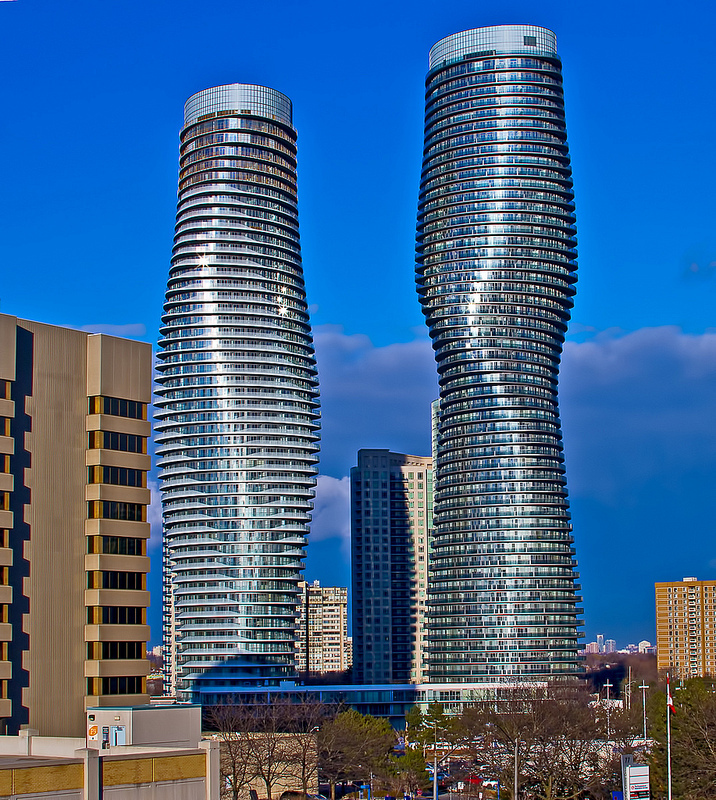 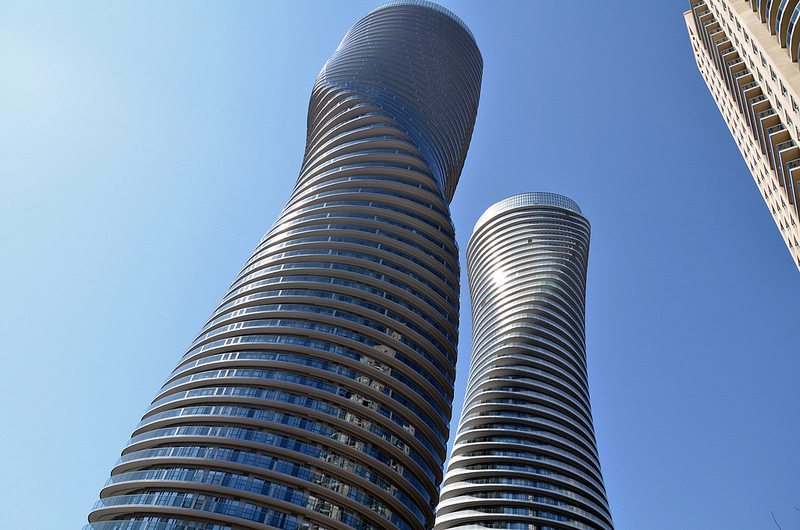 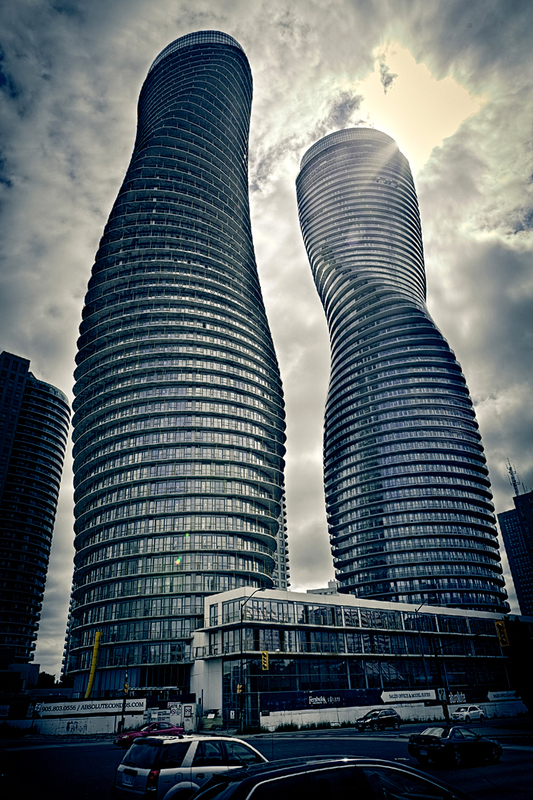 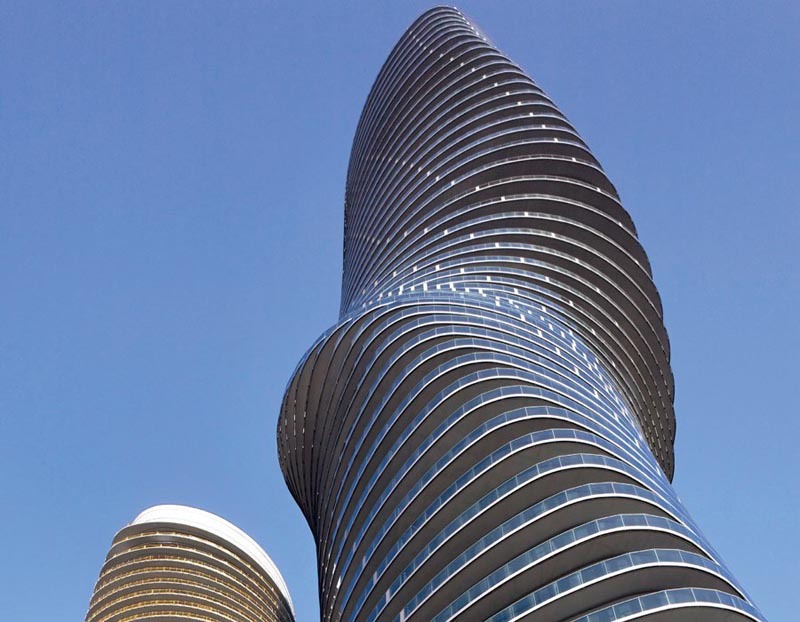 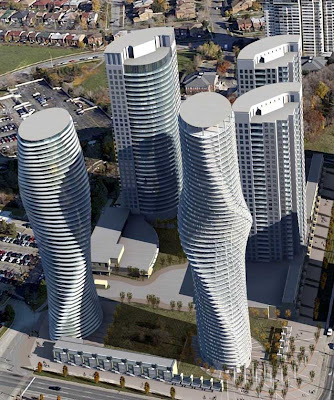 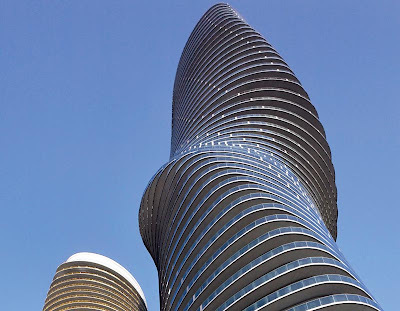 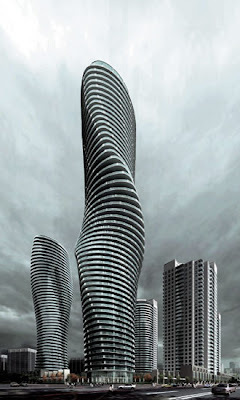 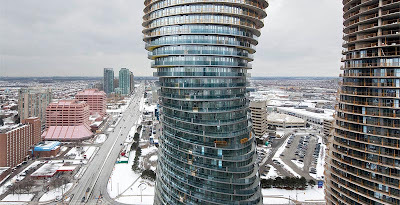 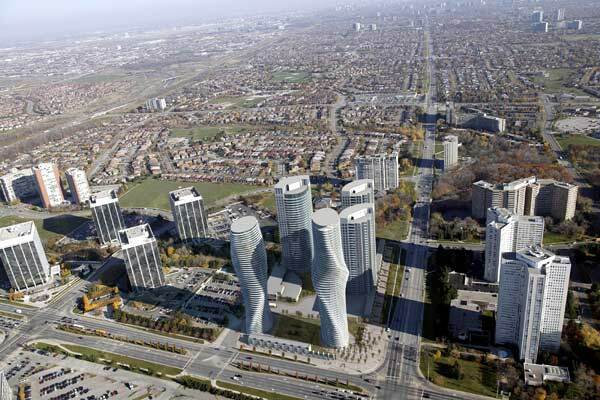 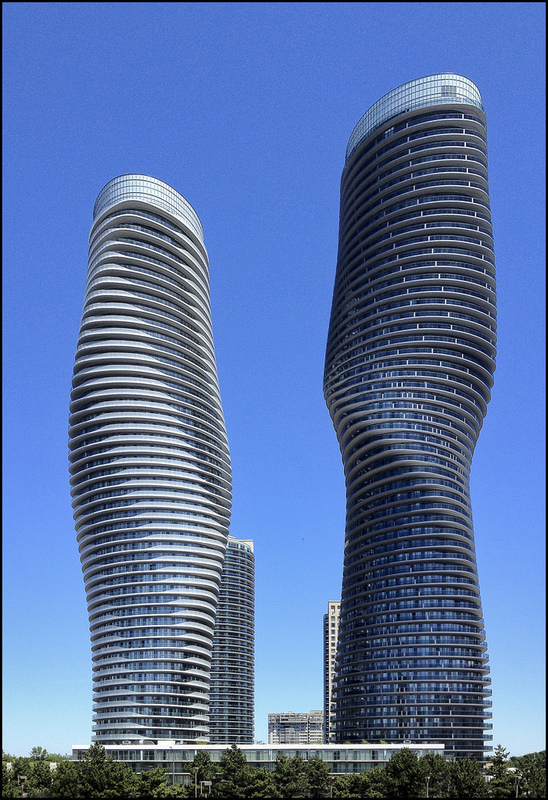 Mississauga’s undulating Absolute Towers are rising near TORONTO’s western border. 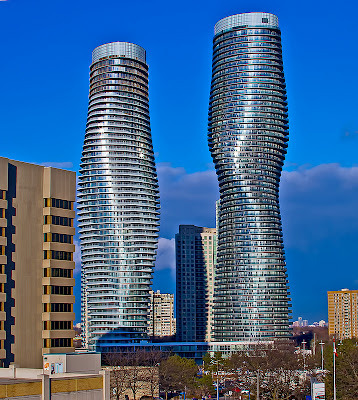 The most curvaceous one is nicknamed “the Marilyn Monroe”. 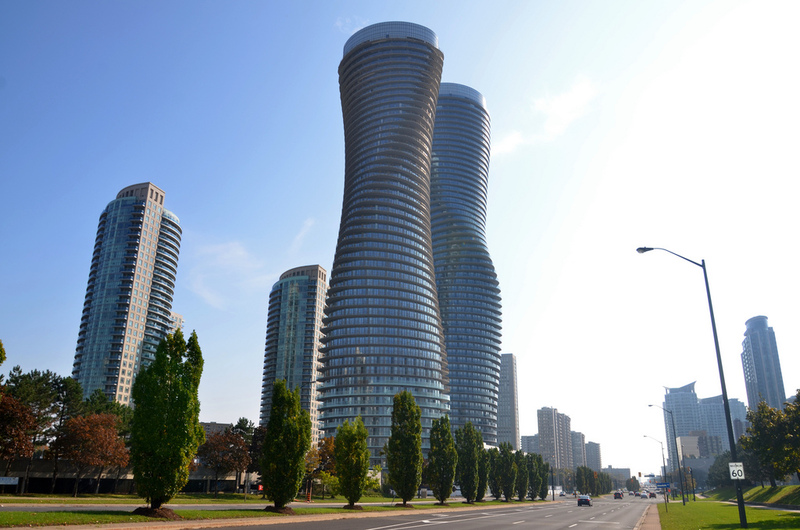 The buildings are part of a four-tower complex at the crossroads of Hurontario Street and Burnamthorpe Road. Design of the Absolute Towers started in 2006.